Could an Artificial Womb Help Save Premature Babies? Prematurity is one of the most worrisome issues that families worldwide face. When a baby is born before 37 weeks old of age, the baby is considered to be premature. In the U.S., according to the CDC, about one in every 10 babies is born prematurely, thought rates have gone up and down over more recent years. The March of Dimes explains that, fortunately, the rates of prematurity does seem to be declining, but over 380,000 babies are still born prematurely every year. And worldwide, prematurity is still the leading cause of death for children under 5 years old. The risk of complications for babies born prematurely varies quite a bit, depending on how early the baby is born. Although any baby born before 37 weeks is considered premature, there are also differing categories of prematurity. For example, a baby born between 32 and 37 weeks is considered moderate to late preterm, a baby between 28 and 32 weeks is very preterm, and a baby born before 28 weeks is extremely preterm. Because the rates of prematurity have been so high, there are actually more adults than ever that have complications as a result of being premature as infants. Overall, it's a very big priority for worldwide health to help reduce the impact of prematurity for families. 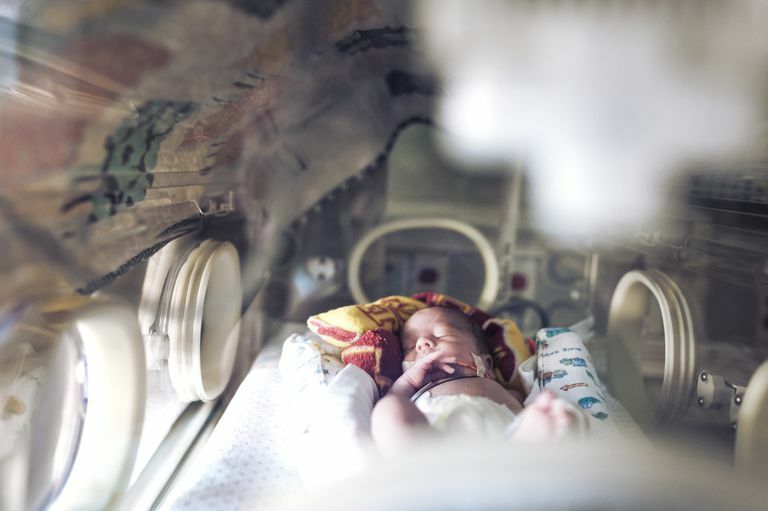 Could an Artificial Womb Help Prematurity? One of the biggest problems that premature babies face is undeveloped lungs. When babies are born too early, their lungs are not able to develop properly and that leads to many immediate and if the babies survive, other long-term complications. Doctors have long tried to come up with solutions to help a baby's lungs. Currently, doctors use a steroid for the baby's lungs to try to help the under-developed lungs, but especially for very early babies, they need much more help than the steroid provides. Which is exactly why scientists hope that introducing an artificial womb could help give premature babies the extra time they need to fully develop. In a 2017 study released in Nature, researchers have introduced the success of an artificial womb designed for lambs. They were successfully able to maintain lamb fetuses in the womb for an entire month, with no health complications. The artificial womb is an extrauterine system that is designed to act just like the womb. It uses a combination of a plastic bag unit, pumps, gas blenders to maintain the correct balance of oxygen, and filters to maintain pressure. Perhaps most crucially, it is a closed circuit system, meaning that it mimics the real environment of a natural womb. When a fetus is developing in the womb, it's closed to the outside world and the baby does not breathe air. Instead, the lungs are kept in a constant state of amniotic fluid and the fetus receives its oxygen through the placenta instead of breathing through the lungs. This helps the lungs fully mature before they are required to begin breathing air on their own. Looking at the lambs' development, the study showed that the baby lambs had normal physical growth, along with brain and lung development. The lambs were able to successfully stay in the artificial womb for 4 weeks. This may not seem like a long time, but in the world of prematurity, literally every day can make a difference for a baby's development. Could Artificial Wombs Be the Future? So will we be seeing premature babies in artificial wombs lining our hospitals in the near future? Probably not anytime soon. There is still a lot of work that needs to be done to bring the technology to the point where it's ready to be used for human babies. However, the researchers behind the womb hope to begin testing the artificial womb on human babies in a relatively short time period, within 3 to 5 years. So hopefully, in the future, the artificial womb may become an important step in treating the problem of prematurity for families.